WARSAW (7 October 2015) – Prologis Inc., the global leader in industrial real estate, today announced that Euro-net, the owner of the nationwide network of consumer electronic and home appliance retail stores, RTV EURO AGD has expanded at Prologis Park Janki after signing a lease agreement for a further 15,000 square metres. Following the transaction, the company will occupy the entire facility, totalling 70,000 square metres. 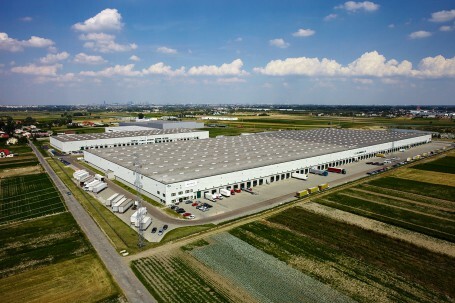 Euro-net has been present at Prologis parks for seven years and has been expanding during that period. Currently, Euro-net has 224 RTV EURO AGD bricks-and-mortar shops in 136 locations throughout Poland, and an e-shop website. Prologis Park Janki is a state-of-the-art logistics park, totalling 98,200 square metres. The park is situated in Janki, just off the Puchaly Interchange (S8), along the S7 route from Warsaw to southern Poland, 15 kilometres south-west of Warsaw city centre and 14 kilometres from the international Warsaw Chopin Airport. With its active engagement in five CEE countries and a portfolio totalling 4.3 million square metres, Prologis is the leading provider of distribution facilities in Central and Eastern Europe (as of 30 June 2015).